How important do you see social search for your brand or your company? Not much. Well, you might reconsider this answer when you have read some of the stats provided by Prestige Marketing in the following infographic. The compilation of figures and data gives some insights in why brands need to understand the benefits of social search. – When exposed to relevant branded media, consumers are more likely to click your information: search click-through rates increase 94%. – Comparable to the Nielsen findings some months ago, 78% of consumers trust personal recommendations over search result rankings. – In order to make purchase decisions, 48% of digital buyers use search and social media for their buying decisions. “Social search engines use data from social networks and online relationships, including rating, shares, and likes, to determine the display order of search query results,” claims the infographic. It is one of these questions that many brand marketers are asking themselves: What makes us reach the top search results on Google? A recent report based on Searchmetric data for 10,000 top Google search keywords sheds some light here. It was based on correlations and website characteristics of 300,000 URLs appearing in the top search result position in the US between March 2013 and June 2013. The report shows that those websites tend to perform best that have a high social impact in terms of likes, shares, tweets and Google “+1″‘s. It also makes clear that there is a realationship between ranking high on Google and collecting Google+ links to achieve better ranking impact which the graphic below indicates. Despite common believe that fast website performance through intelligent on-page coding might create some benefit for the search ranking, the study shows that just not having it will let websites achieve lower rankings. This means that SEO basics like having H1 and H2 tags or providing brief descriptions now are seen as standards but won’t support any boost effect. Still, content is king for Google. Good rankings were correlated always positively with good and unique content and had a bigger effect in 2013 than the year ago. As main ingredients of positive content can be named a clever internal link structure, a URL with a clear message and longer text plus a sensible number of integrated (audio)-visual files. This could be as of the fact that Google wants to boost their own pictures search sites and obviously Youtube. Keywords keep up their impact on the rankings. On the page, they still need to placed in the title as close to the front as possible and in the text they need to be placed wisely as well. As of some algorithm changes compared to 2012, the importance of keywords in the domain name or the URL has lost its significance. According to the report, websites of brands and other domains seem to play on different levels for Google. Obviously, brand websites seem to be superior to normal sites. The report states that it looks as if the search engine finds it normal for brands to generate more backlinks with the brand name appearing in referring content pieces alone. Google revolutionized the internet, the way we interact, we use our brains and thus, somehow it changed the world. And now they will do it for the second time… with “Search, plus Your World”. This new search engine technology does not only bring us information from across the web. It proclaims to make search even better better by including photos, posts, and “more from you and your friends”. With an all new algorithm for their search they have changed their search strategy. Today, people are searching not only for content. Today people also want to find personal and private information and touchpoints. The normal result is one which we have all expected for a long time since Google+ launched: Google+ will be integrated in Google search which will definitely affect the power of Google against their hardest social competitor Facebook. On the official Google blog Amit Singhal explains how the new Google search works with an experience of his past. …or they will simply change it in the account settings. And Google extends the Google+ circles idea to their search: Every single result in the private search mode gets marked whether it is private, public or limited entry. Somehow a clever filter, don’t you think…? We all rely on Google search to find the truth on our current questions, right? Isn’t it scary in some way? Is Google becoming our brain in the future? What if you cannot find the answer on Google? We all use Google – and not only search. But do we use it too much? Could Google become an intelligence pitfall? An interesting infographic by Onlinecollege.net on “Google and Memory” explains the impact Google has had and will have in our daily life in the future, especially on our collective memories. The infographic is well created as it separates “The Google’s Brain” into four separate quadrants. And all of us who use Google can see what effect this has on our habits… We don’t need our brain anymore it seems. Google give us all information: “just a click away”, “available all the time” and makes us remember where we stored the information we needed. Will we forget to memorize? Will we lose conceptual thinking? Will we be misinformed? BrightEdge recently uncovered with a research project that social profiles of most leading brands don’t rank well in Google. Although many companies still invest a lot of their budgets in SEM/SEO activities, most of them forget to increase their social media presence from a search results perspective. The research reviewed 200 of the world’s top brands for their social media presence. Most of the those brands, nearly 100%, stay on top or near the top ranks for their brand names on the SERP’s. However, a high percentage of 71% did not have their Facebook pages in the top 20 results. For Twitter it showed more or less the same result: 68% of the brands surveyed were not amoungst the top 20 results of the Google SERP’s. Interestingly enough, there seems to be no necessary correlation between the number of friends and followers and SERP rankings according to the analysis of various social media pages that the BrightEdge surveyed. For example, the Facebook page of a leading photography brand did not perform in the top 20 search results, although more than 160,000 were fans of their Facebook page. On the other hand, a leading auto manufacturer with only 17,307 fans had a Facebook page that ranked in the top 10 of search results. The least effective brands at optimizing Social Networking sites are coming from the finance and insurance sector. Only three of the top 43 companies had their Facebook pages rank in the top 20 search results. In comparison, retailers were much more successful: 13 out of the top 23 retailers surveyed were found in the top 20 search results. Brands could argue it is more important to find your homepage or branded pages for products or services in the top search results. Social Media experts might see this different as some of the main brands invest a lot of their branding activities in the leading Social Media sites at the moment. Especially, under the aspect from last year’s report that some big brands reported to loose their traffic on corporate websites to Facebook, the search impact for brands might become more and more important in the future. Would you agree? When somebody used to work for Google there is a lot of knowedge to be shared. And I thought, I could learn more about SEO techniques and tactics. Vanessa Fox did work for Google (apart from inventing Webmaster Central), and so I thought, I need to read the book Marketing in the Age of Google. As a web-strategist I should know the secrets of ranking high on Google for my clients. Getting Vanessa’s inside view on how Google and their search technology operates, gives an aggregated insight on the evolution of search topics. 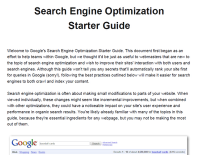 It is saving time and presumingly more efficient than following or reading many SEO experts thoughts. And then let’s help clients to optimize their site fropm a SEO point of view. To write a review is a challenge. 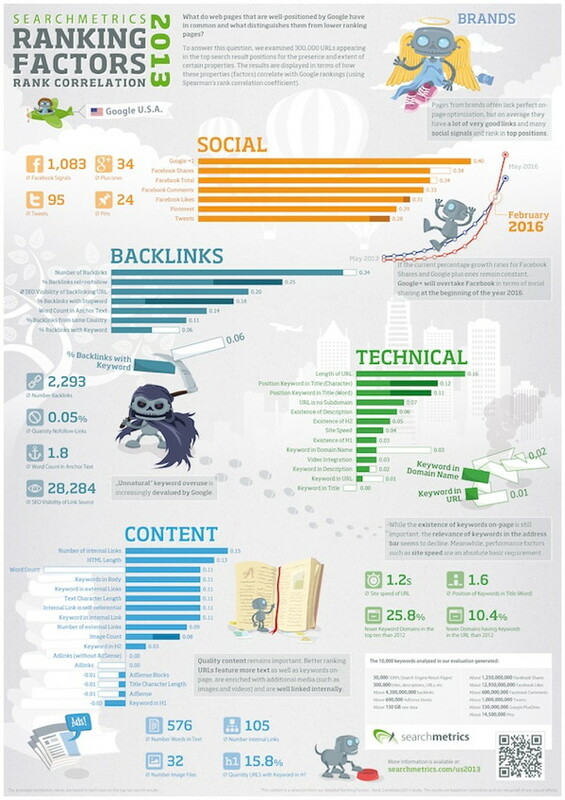 As I follow some of the most interesting SEO cracks, I knew some content topics already. But there is much more quality thoughts and knowledge in it that makes the book worth reading. If companies want to optimize their top rankings, the book offers good tactical approaches and a clear structure how to start and evolve your content strategy as well as how to conquer the top positions in Google. Having said this, the book is based on the theory of having a web-strategy in place that is aligned to the company’s business strategy. If your company has the consumer approach understanding the needs, desires and motivation why consumers go online to evaluate products and services, then the book is a must read. The way people used search engines has changed in the last years as the web has become mature from an information platform to a consumer generated content base. It is not about what the company spreads but what the users are looking for and the content they share and create. People hear something about a person, a brand or a campaign and instandly start going to search for more information. Not seldomly they are finding consumer input. And often the initial search entry point starts with offline marketing, PR or customer service conversation – in print ads, TV commercials or an wallpapers. Business that know how to connect offline and online efforts will succeed in the future. Happy that this was my main claim when I started this blog and thus gets now backed up by a Google specialist… Thanks Vanessa! The amount of input the book Marketing in the Age of Google offers is probably only handable for a SEO specialist. And this person has to have the buy in from the C-level to manage the online strategy accordingly. A lot of the strategy is based on content creation and content framework which is a PR, marketing, HR, R&D and Customer Service topic in the future in my eyes. These departments need to learn how to place content effectively in the search world. It will affect the way peope perceive the business strategy of a company and the way the companies and brands interact with their clients, partners and employees. What I missed was the effect taxonomies and social tagging might have on search in the future but maybe this comes with the next update.